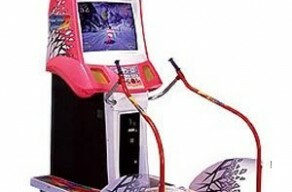 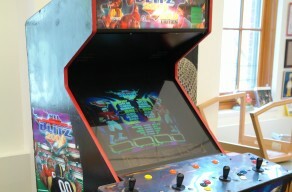 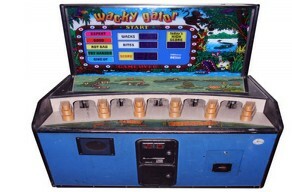 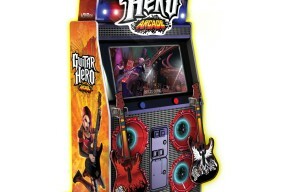 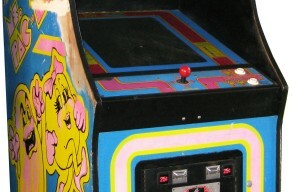 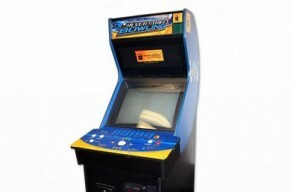 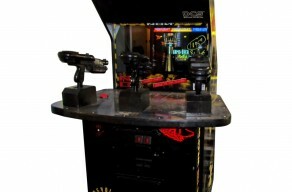 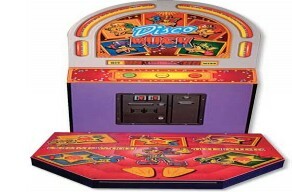 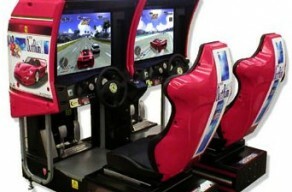 Arcade game comes in two parts, a seat and a cabinet. 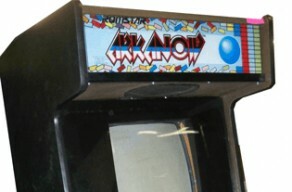 Dimensions listed are taken with the parts assembled. 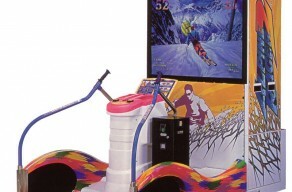 A ski simulator where the player attempts to ski along the course shown on a 27" screen. 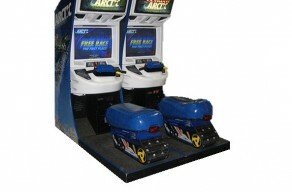 A Ski simulator where the player attempts to ski along the course shown on a 50" screen. 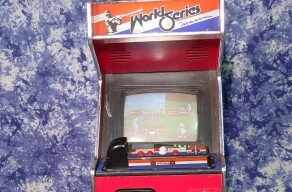 Use your bat to launch a bouncing ball into a wall of bricks and destroy them. 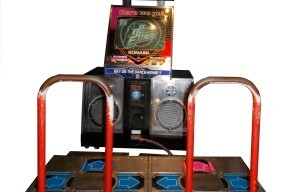 Choose a song and follow the dance steps on the screen. 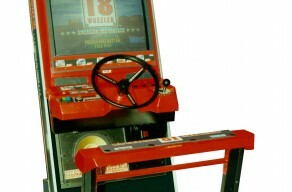 Up to 2 players can compete on this seated game where they choose a car & track and race against each other. 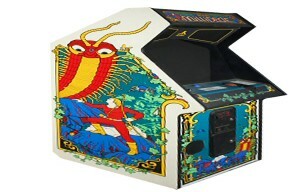 You are the archer shooting multiplying millepedes along with spiders, bees, dragonflies, beetles, mosquitos, inchworms and earwigs, while trying to keep mushrooms at bay. 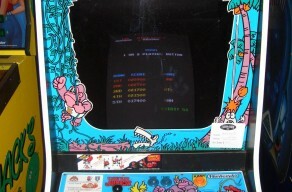 1-4 Four player game. 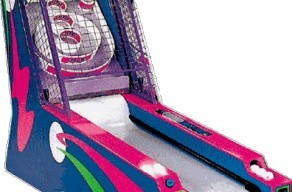 One player plays at a time. 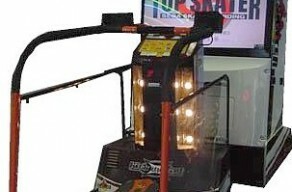 A simulated skateboard will help you pull off the craziest tricks ever to score major points in this game. 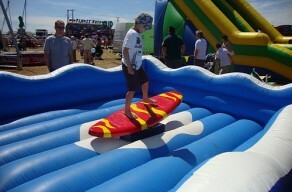 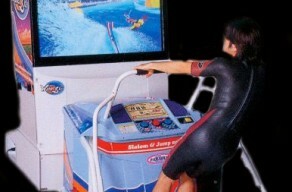 A water ski game where player uses the simulated water skis and follows the course on the screen. 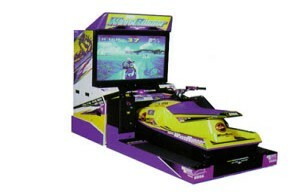 A jetski racing game where the player sits on and controls the simulated jetski.